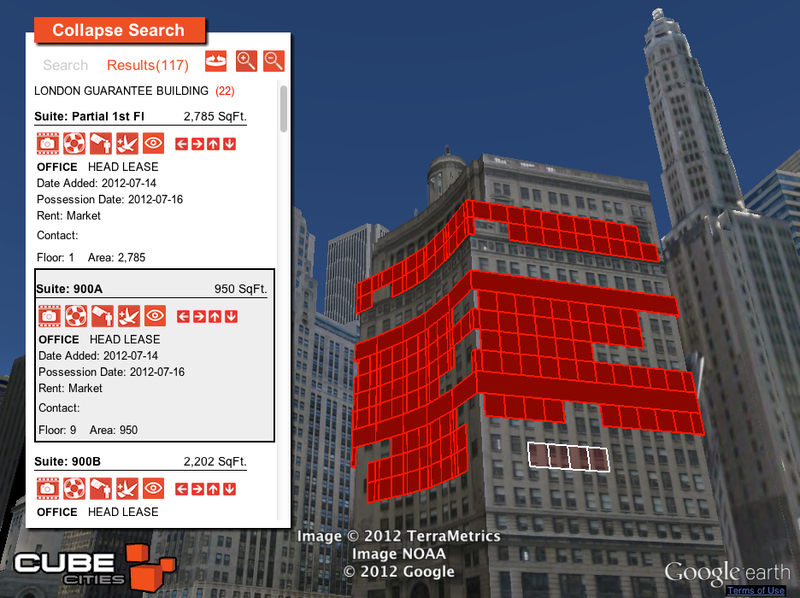 Here's a great example of how Cube Cities visualizes available office space using the London Guarantee Building. This famous landmark built in 1923 and managed by MB Real Estate in Chicago's East Loop currently has 18 different available suites. 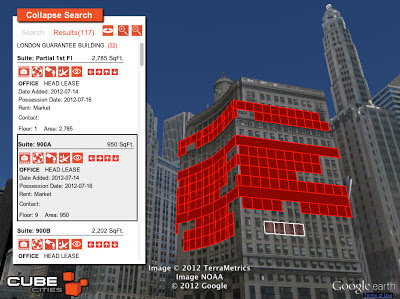 Explore it's current availabilities on the Cube Cities website by searching Chicago here. Click the eyeball icon on the tools menu to see the floor view from any available space. 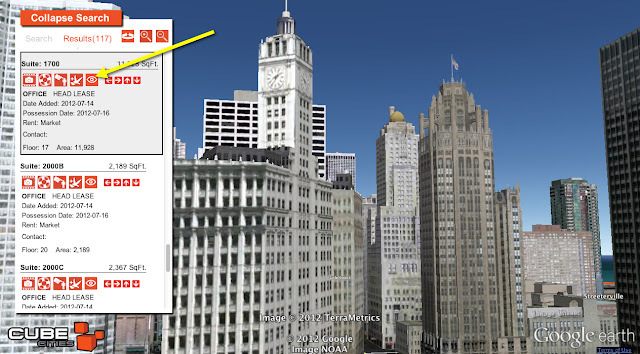 The London Guarantee Building has amazing views up the Magnificent Mile of the Wrigley Building, Tribune Tower and the InterContinental Hotel.